Take a workshop without having to Travel! This new online format will be offered in addition to my traditional in-person workshops. It is the perfect solution for those who are not able to travel or would prefer to take a workshop at their own pace, in their own space without the hassle and cost of travel. Each class will be recorded and uploaded to a private YouTube site, in the event that you can't be present for one or more of the classes. Are you tired of re-working your color endlessly, only to end up with muddy colors? Have you ever wished you had more freedom with color? Do you think about color choices before you paint, or just paint the colors you see? Do you want to know how to strategize with color so that your paintings have more drama and sophistication? In this 10 session online workshop, learn the “theory” behind managing the colors in your palette for assured color harmony, learn to work with the colors of your choice, and more. The class is suitable for all colored media - oil, acrylic, watercolor, pastel. Patti Mollica, author of “Color Theory, an Essential Guide to Color” will be teaching the strategy behind working with color schemes and pushing color choices to the next level. 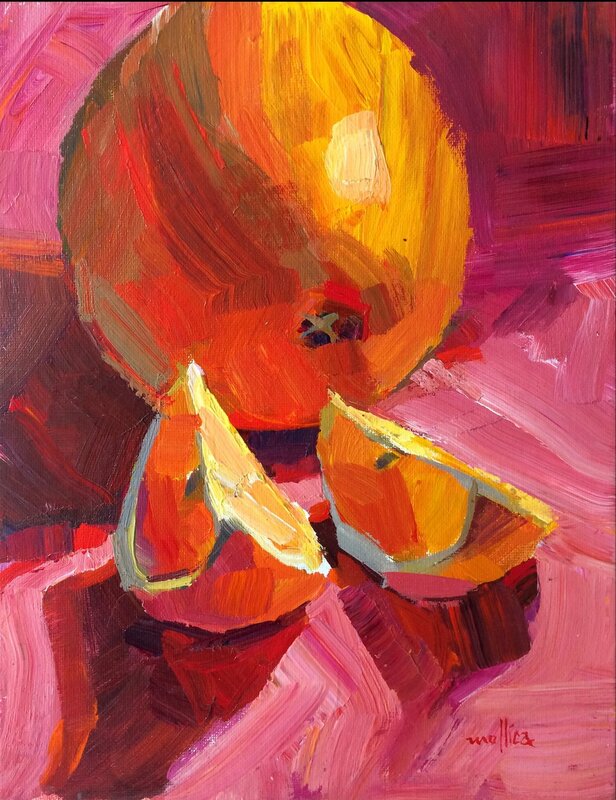 If you are ready to embark upon new level of color exploration, don’t miss this workshop. Suitable for Oil and Acrylic painters. Beginners are welcome. Overview: The online workshop format will include instructional presentations / demonstrations, homework assignments, and feedback sessions on a private group FaceBook page. You can watch the presentation / demonstrations in real time and can also participate in the meeting by "raising your hand" and asking questions. The platform allows students to be audible, visible and chat amongst each other, just like in a real classroom. Meeting Details: Each instructional class meeting is approximately 1 hour. The homework assignment will be "due" several days later, and each student will post their work on a private Facebook group page, where I will offer ideas and suggestions. The class participants are also urged to comment freely and offer constructive advise. Instructions: Simple instructions on how to use the online video conferencing platform will be sent to those who register. It is very user-friendly and compatible with all computer platforms. A reliable high-speed computer connection is required for optimal viewing, as are very basic computer skills. Note: Once the workshop is purchased, it's not refundable. If you register and then circumstances change that make attending the online meetings impossible, know that the lessons and group feedback will be available for you to see online and learn from when time allows. 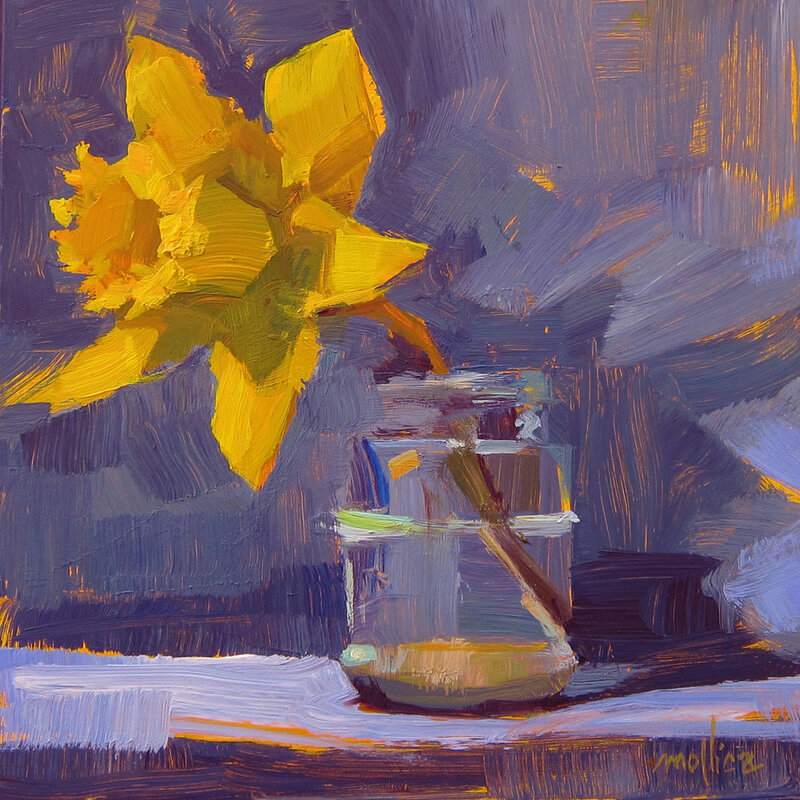 Learn how to add color drama to your paintings! Hope you can join us! Have a question about the workshop? Email me.